I will be leading two workshops focused on the business side of art. One will be a 7-week workshop and another one will be a one-day workshop. Both held at the Art Garage, 1409 Main St, Green Bay, WI 54302. 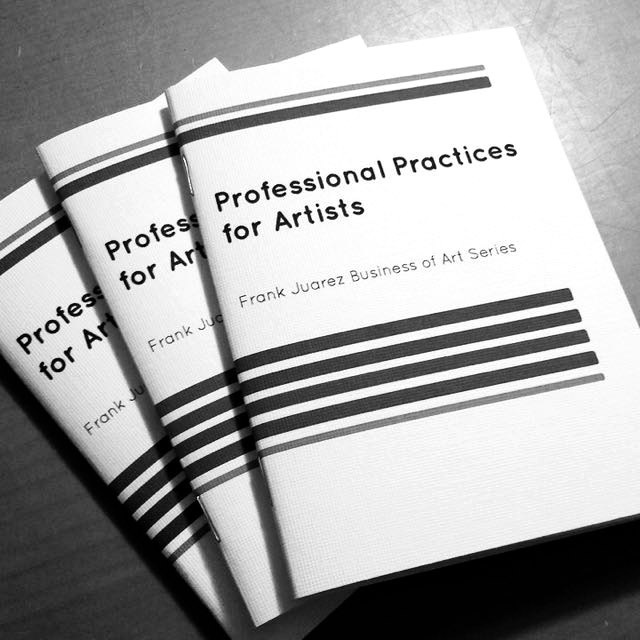 Frank Juarez is excited to introduce the inaugural Professional Practices for Artists. This is an intensive program, which introduce participants to topics that are designed to provide guidance in self-promotion, effective use of social media strategies, understanding the art market, strategic planning, and balancing studio time with business of art practices. All aimed to assist you in creating a pathway to success. To succeed in today’s art world is dependent upon two art practices; an active studio and self-promotion. This session introduces artists to a cyclical system called the “Pathway to Success”. This model is designed to target every aspect of designing, facilitating and monitoring a successful plan to self-promote. Participants will create his/her own plan to determine what strategy is best to communicate, to establish a presence both online and in person, carry forward their message, nurture relationships, maintain visibility, and to evaluate the process on a quarterly, bi-annual and/or annual basis. 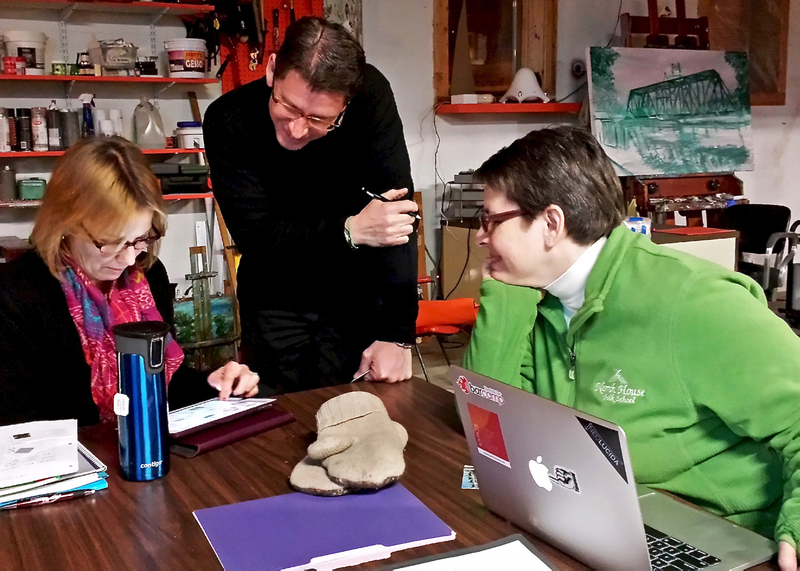 The Power of the Critique brings creative minds together for professional development, personal enrichment, and social connections. Critiques are a great way to share art with others and receive positive feedback. Nowadays many art connections are made via social platforms such as Facebook, Instagram, Linkedin, etc. Having an active online presence open doors to opportunities ranging from sharing artwork, collaborative projects, selling art, making connections, and networking. Learn how Living in the Digital Age can impact your art career. What does your website say about you? Why do you want a website? What do you want to communicate? What are your needs? A website takes time, energy, organization, vision, and commitment. A website is an archive and extension of your studio practice. It is a great way to showcase artwork, present a CV (curricula vitae), archive exhibition history, and educate others on the creative process. The best way to know more about an artist is to extend an invitation for a studio visit. Studio visits can exist in many places, but what you do inside your studio can make or break an opportunity. A studio visit introduces the viewer to the artist’s creative process, provides an inside view of where critical thinking and problem solving occurs, as well as exposing the viewer to a place that is special to the artist. Artists would rather use their time making art. However, the reality is that artists have to think about the big picture, which includes selling art. The question is how does one start? This session introduces useful tips on how to develop a content calendar, a strategic plan that focuses on short term and long term plans, and accountability. Pricing your art is different from making art. Making art is about the creative process, personal experiences, and sharing the artist’s vision to the world. But after a work of art is made, it is now time to sell it so someone else can enjoy it. In today’s art world, exists an art market and what it can dictate about what an artwork is worth. 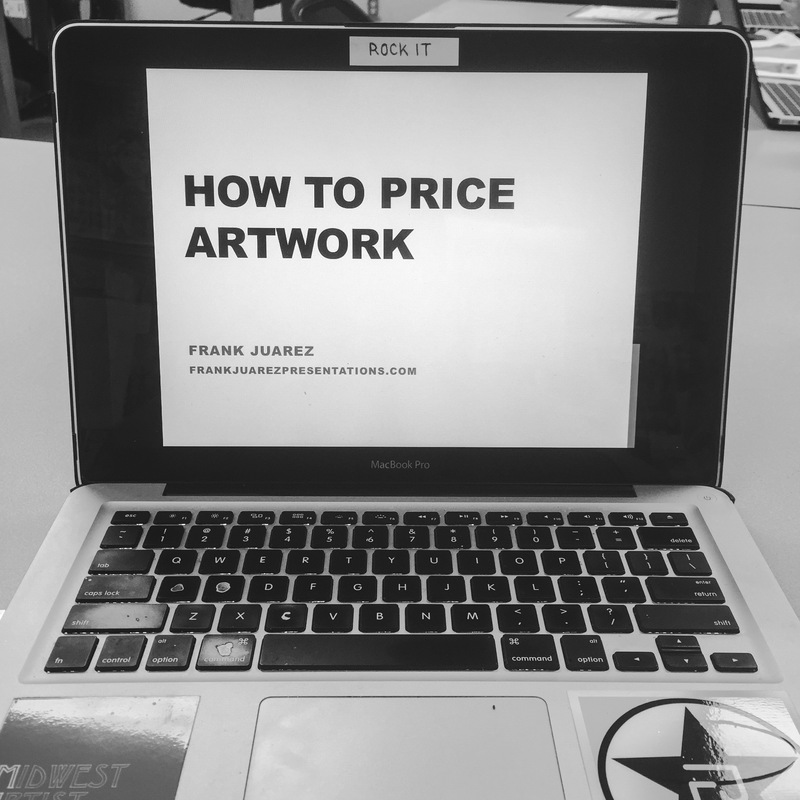 Learn multiple ways on how to price artwork accordingly to where you are living. An artist experiences successes and failures. Sales are made. Sales are lost. Competition is all around us. It is what you do after an exhibition, a sale, a studio visit, or an online connection that can make a difference on what happens next. The best way to make the next move is to reflect on what transpired, figuring out what went well, what can be modified or omitted, and making a new personal goal that compliments your plan. Frank Juarez is a Wisconsin artist, published author, presenter, gallery director, award winning art educator, advocate, and community leader living and teaching in Sheboygan, Wisconsin. In 2005, he committed his life to expose, educate and engage others on the importance of experiencing and supporting the Visual Arts. Organizing local and regional art exhibitions, community art events, facilitating presentations, and supporting artists through professional development workshops, use of social media and networking has placed him in the forefront of advancing and promoting local artists and attracting regional and national artists to interact, collaborate, network and exhibit in the Sheboygan community. Over the past 5 years there has been a growing need to expose, educate, and engage artists like yourself into making your creative passion sustainable. The reality is that in order to achieve success we need to equip ourselves with the necessary skills to move our careers forward, to learn how to evaluate our progress, to establish realistic objectives, and to determine the best possible route to achieve our personal goals. This one-day session is designed to guide you in the right path to success. Topics will range from effective ways for self-promotion to engagement in sharing artwork and the creative process, navigating social media to building your brand, inviting others into the studio to planning for the future, and pricing artwork to evaluating creative performance.